1. Perfect for all kinds of uses, decorating house, lighting up the holidays, accenting car interiors, party decorations, Halloween and festival costumes, signs, banners and more. 2. Battery Pack Controller: 3 Flash Modes-fast flashing, slow flashing, steady light. Easily switch the mode by pressing the button. 3. 2*AA batteries are included and installed. 4. 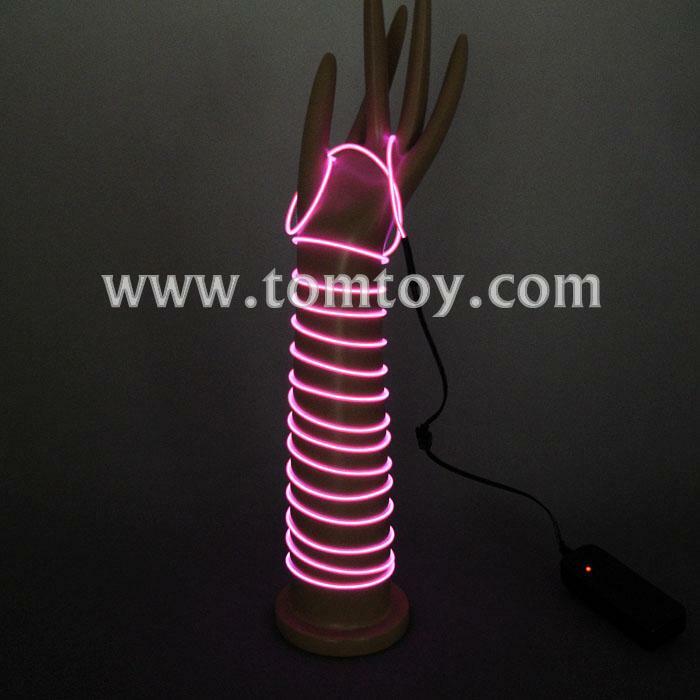 FLEXIBLE NEON ROPE LIGHTS: The whole EL wire includes three parts, colorful strands, a splitter and a battery pack controller; Strands can be separated from the whole part, which means you can just use one or few strands. 5. HAVE A GREAT DIY TIME: The special wire type light means more space for imagination; You can DIY and pose the wires in various ways accordingly. 6. ECO FRIENDLY LIGHT FOR FUN: The EL wire is bright and much energy saving than normal lights; No heat radiation or environmental pollution. 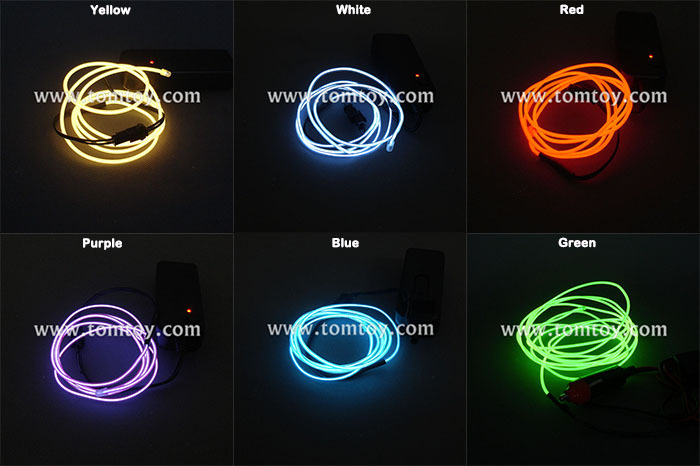 EL Wire color: Red, Yellow, Orange, Transparent Blue, Blue, Pink, Purple, Fluorescent Green, Jade,and White.